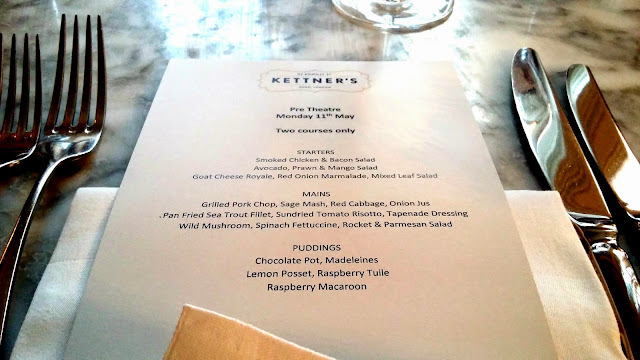 last monday i very lucky to have been invited along to sample the new pre-theatre menu at kettner's in romilly street, thanks very much to the wonderful rebecca at official theatre for thinking of me last minute - even though i seem to keep missing her at other london theatre blogger events! i've been to kettner's before (a couple of times, here and here), and it's definitely one of the swankiest restaurants i've been to in london; despite the historic restaurant previously having accepted taste card for main meals, and also offering a really affordable sunday lunch, the decor and history of the venue definitely gives off a much more sophisticated vibe to those i'm used to frequenting. 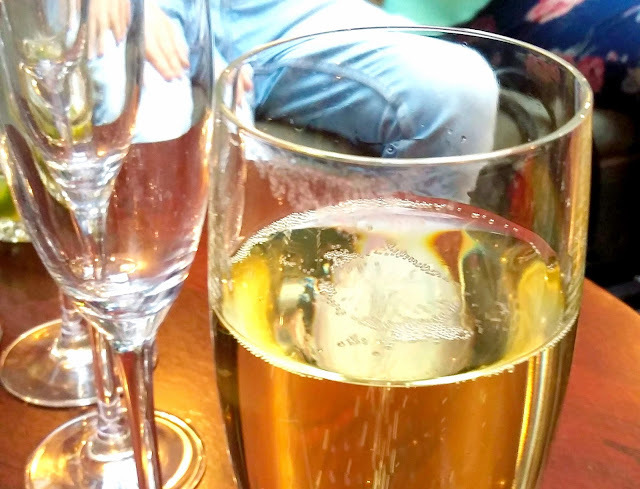 so obviously, when the invite came through with promise of a champagne reception and two courses of delicious and well-cooked food, well.. i was hardly going to say no, was i? i popped over to soho after work on monday, and was met in the restaurant's champagne bar by rebecca and co, and sarah from the in-house sales team, who also doubled as a bit of historian/story teller that night - honestly, the tales that women has of the venue and its passed life could fill a book -- er, i mean, she's literally writing the book as i type this, so... keep your eyes peeled for that! amidst the ghost stories and 1940s celebrity name dropping from sarah while we sipped on some top quality bubbles, the london theatre bloggers and i got to chatting about the amazing champagne bar and its art deco vibes, and prepared ourselves for dinner; two courses from the restaurant's pre-theatre menu. 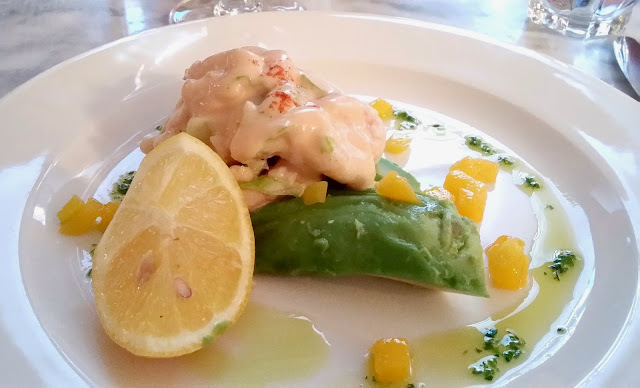 it was a touch decision - working out which two courses i'd be having, but in the end, settled on the avocado and crayfish with mango salad to start, and the wild mushroom and spinach tagliatelle for main. some of the other mains - like the pork chop with mashed potato and the trout with tapenade, that were ordered around the table did have me wondering what on earth i was thinking by breaking my rule of not eating pasta when other things are on the menu, but the sound of the fresh spinach pasta was too much to pass up. plus, it was fricken delicious too, so, i win. after dinner, we were treated to a spontaneous performance from fellow theatre blogger dom, who just so happens to be a qualified magician who carries all kinds of props with him to these sorts of events, just in case the need arises... clearly the need totally arose, because i was properly flabbergasted by some of the tricks that he quite literally pulled out of the bag. i watched coins disappear from my own hand right in front of my very eyes. 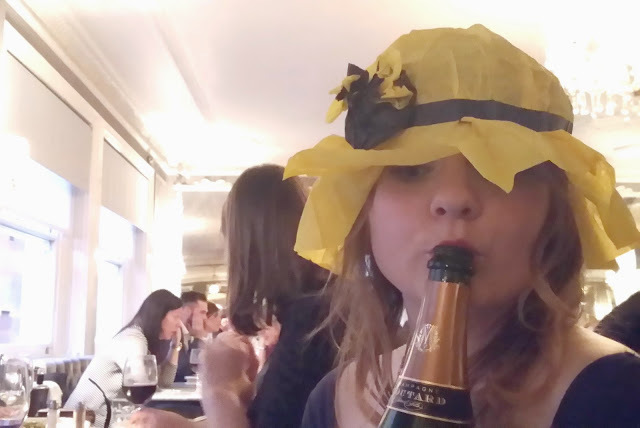 needless to say, with the food plates cleared away and the wine flowing, we were having a lovely time. i did have to leave shortly after, but not before visiting the deluxe ladies powder room above the brassiere, because it's my absolute favourite room in the whole place. it doesn't feel like it's been touched since the 1930s, and has this incredible art deco mirror and dressing-room style bar, and always have lovely soft jazz playing from speakers inside the room. those little touches really keep the venue tied to its roots, and definitely keep me coming back for more. 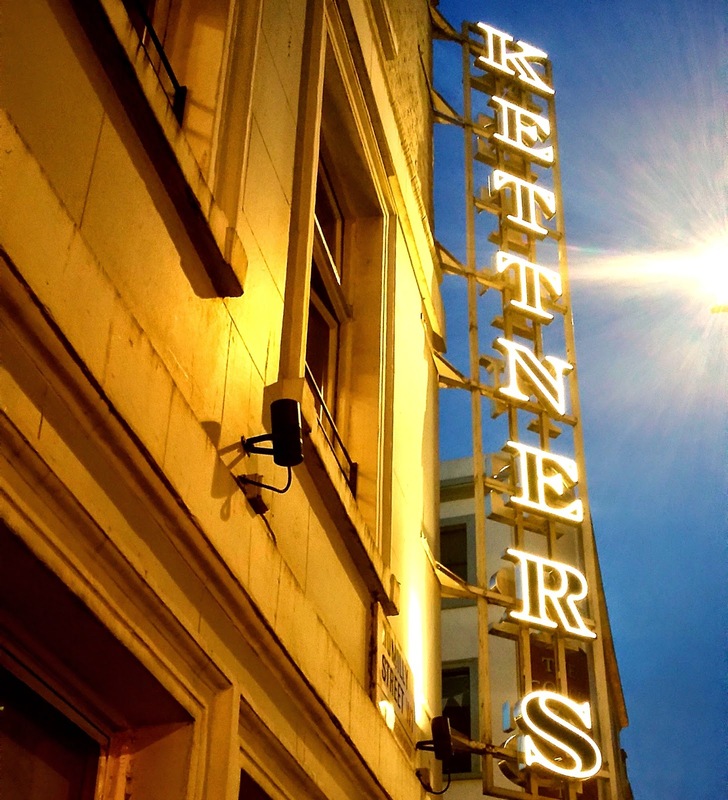 kettner's is one of the oldest venues in theatreland, and with it comes a long and colourful history of hosting show stopping events, suffragette meetings, and glitzy celebrity dinners. the grade II listed georgian townhouse has held on to so much of the original architecture, and the retro vibe of decades passed, whilst the recent refurbishment has created a space for a more modern niche. 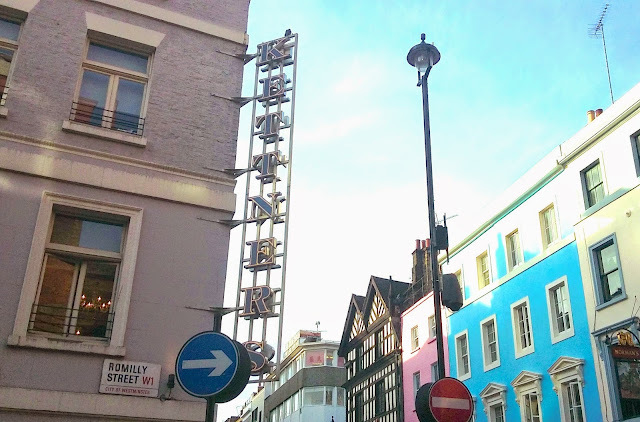 it's a stone's throw away from many of the west end's biggest shows (one of my faves - matilda - is still showing nearby at the cambridge theatre nearby! 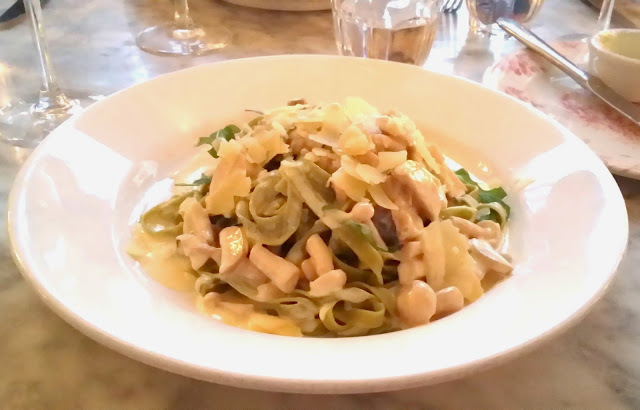 ), and at around twenty pounds for two courses, caters for a more sophisticated pre-theatre crowd. 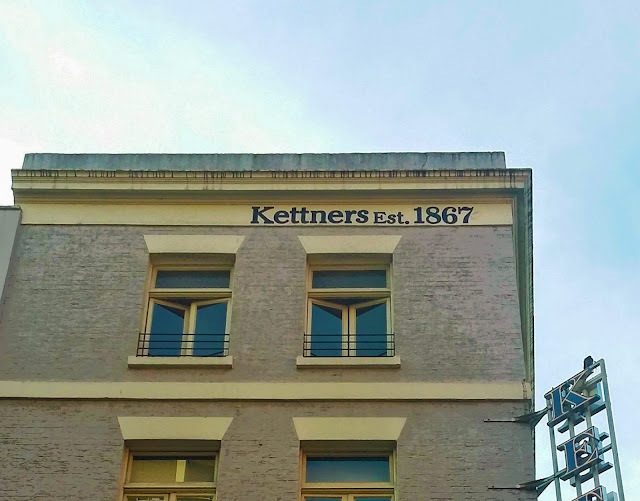 if you're looking for something substantial for a night out and not another london pop-up, then kettner's comes highly recommended for location, price, and uniqueness. fancy being thrown back sixty years while dining on quality courses? 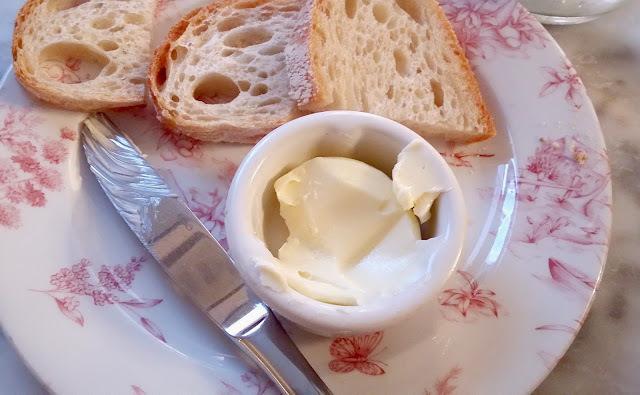 kettner's is the place for you. have you been; what did you make of the place?